On 14th June 2017 a fire tore through Grenfell Tower, a 24 storey council block in West London, home to over 400, mostly poor, tenants. At least 72 people died and over 70 suffered terrible injuries in a completely avoidable tragedy. Grenfell tenants had repeatedly spoken of a ‘disaster waiting to happen’, but warnings fell on deaf ears. the Hackitt report has failed to ban combustible cladding for future buildings. Grenfell was an avoidable tragedy created by 30+ years of political decisions to cut, deregulate and privatise across housing and public safety. Tenants’ concerns must be heard, taken seriously and acted on. Those responsible must be held to account. Those who suffered must be rehoused permanently within their chosen community. On 14th June, please join us as we gather in solidarity with Grenfell survivors and campaigners. Nola will provide an introduction to key terminology relating to international new arrival children, the reasons why people flee their home countries and what the journey to safety may involve. It will give a basic overview of the asylum process in the UK. The emotional impact of the pre, trans and post migration experience on children and young people. The specific experiences and needs of refugee children in their own words. Positive strategies to support refugee children to settle, integrate and reach their potential. Good practice guidance on how to create welcoming and inclusive settings. Information on refugee and related support services for children and families. The second part of the training session will feature a personal testimonial from Gulwali Passarlay, an influential Afghan refugee who is a published author, TEDx speaker, and active campaigner for refugee children’s rights. Gulwali will share how he survived a terrifying year long journey to safety in Britain where he arrived as an unaccompanied asylum seeking child aged 13. Gulwali will talk about his experience of being age disputed, growing up in the care system, claiming asylum and transitioning into life in the UK. There will be time for participant question and answers with Gulwali. We will also be launching the National Education Union welcoming refugee children to your school education pack. There will be opportinities to find out what else you can do to support refugees in UK and abroad. This course is aimed at: teachers and other school staff, social workers, foster and adoptive parents, youth workers, journalist and any others who work and/or support children and young people and newly arrived communities. Saturday 19 May saw the Football Lads Alliance (FLA) embarrassed and outnumbered in Manchester when anti-racists mobilised against them 2 to 1. They were there to stoke up hatred and bigotry on the anniversary of the tragic Manchester bombing. The demonstration was a step forward for the movement but we can’t be complacent. “We must double our efforts to ensure we have a larger turnout to defeat the Democratic Football Lads Alliance on Saturday 2 June. 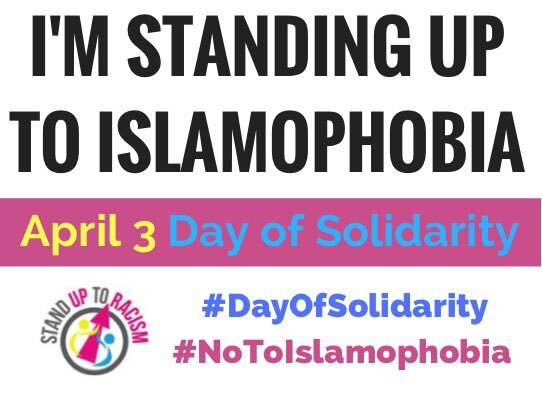 Only then can we be sure that we’ve turned the tide against the racism of the FLA & DFLA.” – Nahella Ashraf, Co-chair, Manchester Stand Up To Racism. The Manchester statement against the FLA has been updated to include the DFLA. It reads; ‘We also oppose the ‘Democratic Football Lads Alliance’ protest in Manchester on 2nd June, and support the mobilisation by Unite against Fascism and Stand Up to Racism to show opposition to them. GMB North West & Irish region / PCS North West region / Paula Barker, Unison North West regional convenor / Peter Middleman, North West regional secretary, NUT section of NEU / Mark Rowe, FBU North West regional secretary / a number of Manchester councillors and others. Open the borders! Solidarity with refugees, migrants and asylum seekers. Racism: are we returning to the 1930’s?